Dr Brandeis is the Director of Clinical Excellence for GAINSWave. 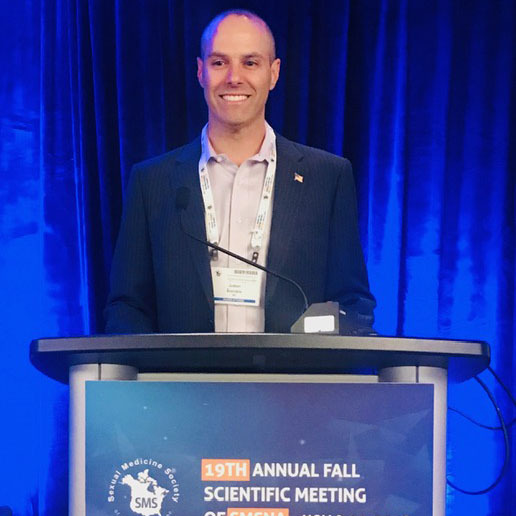 He presented a clinical abstract at the Sexual Medicine Society of North America Meeting in Miami in November of 2018. It showed that a combination of AFFIRM Nitric Oxide Boosting Supplement in combination with GAINSWave significantly improved sexual function in men. Dr. Brandeis is working with GAINSWave to create registry databases in order to improve clinical outcomes for shockwave therapy patients. He is committed to advance the clinical science of GAINSWave to benefit his patients and men with ED across the country. Dr. Brandeis has served as the Chief of Urology at John Muir Hospital for the past 8 years. As Chief of Urology he helped to start the Surgical Robotics Program at the Concord Campus in 2002. He started using the DaVinci surgical robot for cancer surgery 5 years before it was being used at Stanford and UCSF. In addition, Dr. Brandeis opened the Kidney Stone Center at John Muir Concord which is now the busiest stone center in the Bay Area. At his previous urology practice, which he led as managing partner for many years, he started the MRI guided prostate biopsy program, Women’s Continence Center and Minimally Invasive Therapy for BPH. Dr. Brandeis has been the Chief of Urology at Hill Physicians for the past 7 years. Dr. Brandeis has participated in Leadership Committees for John Muir Health and Hill Physicians for many years. Dr. Brandeis believes in the importance of sharing knowledge and experience with other physicians. He is the lead trainer for Male Sexual Wellness for REVIVE. He teaches certification courses on Male Sexual Wellness/Shockwave Therapy/Platelet Rich Plasma (P shot). Recent courses have been in Los Angeles, Miami and Dallas. He will teach a course in Las Vegas in July and New York City in April. Participants comment on Dr. Brandeis’s enthusiasm for Male Sexual Medicine and his ability to explain complicated topics. Dr. Brandeis is also faculty for X-Medica and lectures in their Sexual Wellness Series, most recently in Los Angeles. He also has been invited to be on the Faculty of the world renowned Aesthetic Show in Las Vegas. Dr. Brandeis is a frequent CME lecturer at John Muir Hospital, teaching the Walnut Creek and Concord Physician Community about Kidney Stones, Enlarged Prostate, Prostate Cancer and Prostatitis.